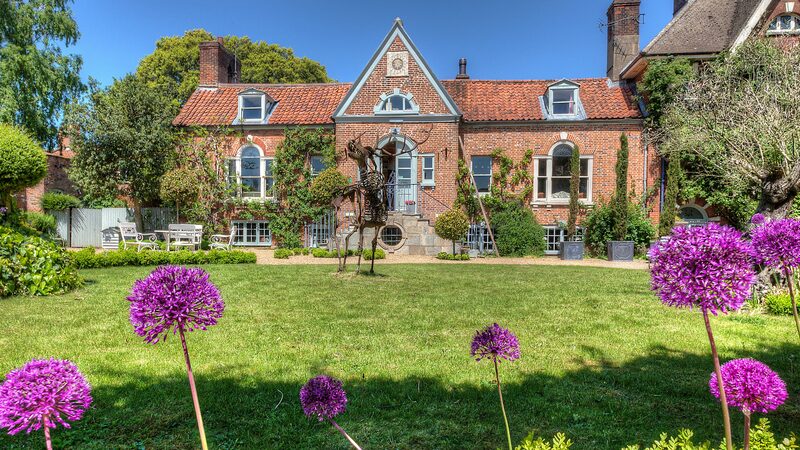 Boutique Hotel ‘Strattons’ is Norfolk’s finest luxury boutique hotel based in Swaffham. Strattons is a small independent family run boutique hotel, restaurant and cafe deli secluded in the historic Market town of Swaffham, once a favourite with the Nelson family and home to Howard Carter who famously discovered Tutankhamen’s tomb. Swaffham is only 2 hours from London. The hotel is an all inclusive venue offering accommodation, breakfast, lunch and dinner, as well as traditional Norfolk afternoon tea, with pet friendly, child friendly and family friendly bedrooms. The hotel has won many awards for its service, style and environmental ethos, most recently winning the Lux Hotel and Spa award for ‘Best Luxury Boutique Hotel 2016 – Norfolk’ and the International Hotel Awards ‘Best Small UK hotel’ award. 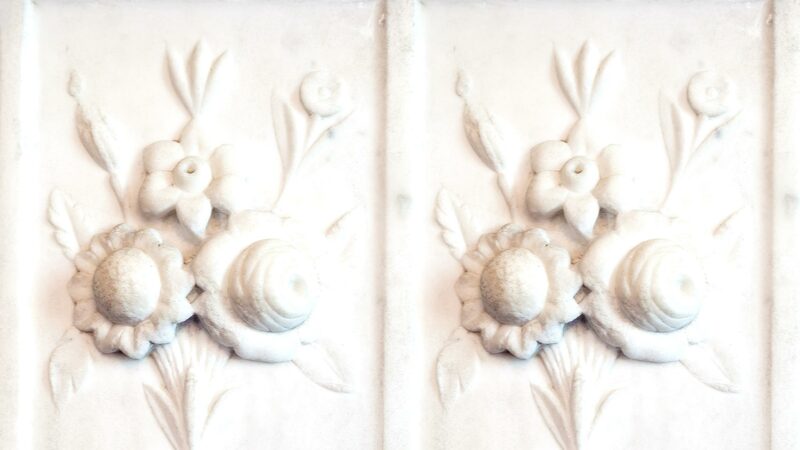 Art, design, luxury and comfort feature strongly throughout the hotel. Every room is individual, sumptuous, eclectic, hip and funky. There is a blend of comfort with beautiful things collected and loved; an environment that is glamorous, yet immediately puts people at ease. Strattons is located in Swaffham, a thriving and bustling Norfolk market town set in the fascinating and historic Brecks. Strattons sits in a conservation area within the town, offering an ideal base from which to explore the Brecks, Norwich, King’s Lynn, North Suffolk, the Norfolk Broads, the North Norfolk coast and Cambridge. Enjoy healthy walking, jogging, cycling and horse riding on the ancient track ways and peaceful forest trails. The nationally recognised RSPB bird reserves within the tranquil and breathtaking North Norfolk coastline, including Titchwell is only a short drive away, and Norwich a diverse and sophisticated city with Norman Castle, 12th century cathedral and fabulous shopping. Norwich, the capital city of Norfolk, grew out of various Saxon settlements along the river Wensum and in the Medieval period was second only to London, its wealth built on the wool and textile industries. Norwich is a great location for shopping, with small boutique shops such as Walkers of Pottergate and Norwich lanes. Norfolk hosts the largest food and drink festival in the UK. Strattons award winning chic restaurant is open every evening and for Sunday lunch, serving organic and locally sourced produce in an innovative and exciting modern English style. The kitchen has a committed philosophy to use the plentiful and abundant seasonal produce on its own doorstep. Everything is made on the premises from the very best produce the local suppliers bring to the kitchens, as well as eggs from the hotels hens and fruit from the orchard. The restaurant and café can cater for specific dietary requirements including vegetarians, vegans, celiac, gluten free, wheat free, lactose intolerant, diary free, and diabetic. 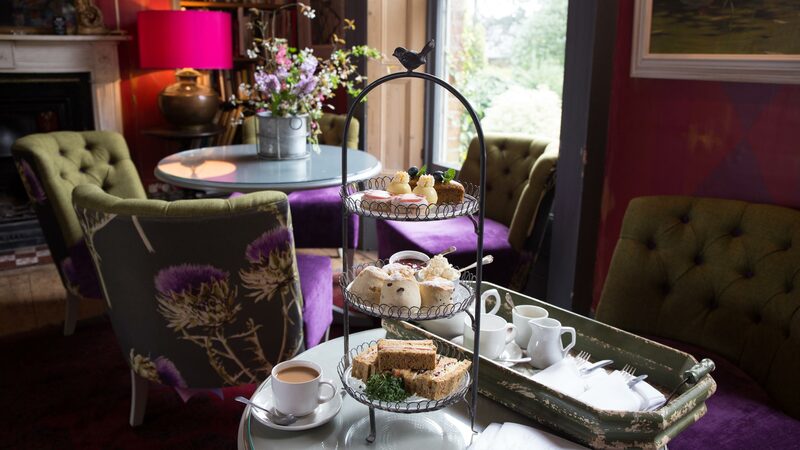 Strattons is the perfect Norfolk venue for afternoon tea by the fire in winter or alfresco in summer and won the EDP Norfolk food and drink award for ‘Best Afternoon Tea Norfolk’ in 2016. If you’re celebrating a special occasion, weddings, birthdays, anniversaries, engagements, farewell parties, Christenings, funerals, civilized hen and stag dos, Strattons in Norfolk can accommodate parties of up to 40 guests. 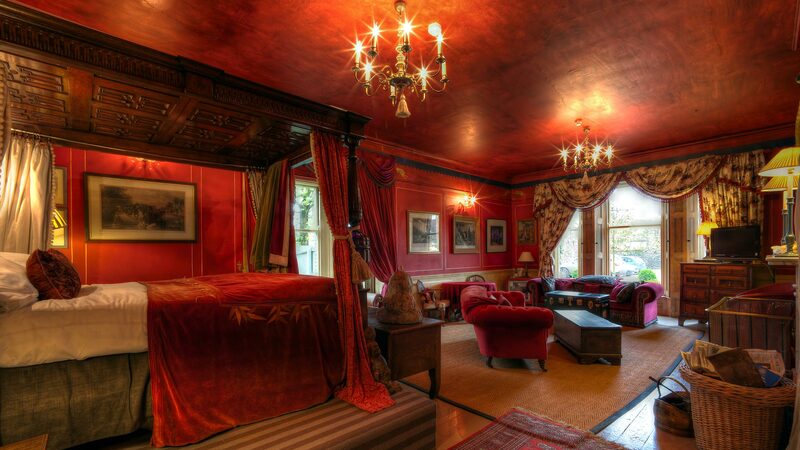 A romantic Norfolk boutique hotel open for New Years Eve dinner, New Year breaks, Christmas parties, self catering Christmas and Valentines. ‘CoCoes’ café deli sits within the hotel’s grounds offering fresh, wholesome, nourishing and delicious food using local producers and suppliers. Pop in for great triple alliance coffee, teas, organic wine, local beers, homemade cakes and cookies, light bites , all day breakfast, brunch, lunch, supper and tasty take out. Enjoy the funky interiors or dine alfresco in summer, drop in by bike and feel free to bring your dog. Take home freshly baked bread, organic and bio-dynamic wines, deli items, eggs, scrummy cakes, homemade chocolates, Norfolk cheeses and freshly prepared dishes from the menu. CoCoes won the 2016 Muddy Stilettos ‘Best cafe’ in Norfolk. ‘Bam & Arrow’ is another part of the family run Strattons story where you can wonder into the new lifestyle shop to browse a collection of antiques, linens, candles, tableware, jewellery, taxidermy, art and home ware all with beautiful informal living in mind. Everything is chosen to create an artistic, welcoming and eclectic feel curated by Hannah Hughes. Hannah enjoys marrying antiques with products from emerging designers and artists. Our shop is located at the entrance to Strattons, please note there is no parking on-site, however there is ample free parking within the town of Swaffham, only a minutes walk from the shop.